Essential oils are growing in popularity both in the mainstream wellness and pregnancy and childbirth communities. Essential oils are subtle, aromatic volatile liquids distilled from shrubs, flowers, trees, roots, bushes, barks, leaves, and seeds. While we often associate essential oils with scent, there is much more to these oils than meets the nose. Essential oils contain chemical components that can greatly support and enhance our health. Many essential oils can be used during pregnancy to assist with common conditions such as nausea, itching, stretch marks, heartburn, headaches, and more. They can also prepare the body and mind for and during labor and childbirth. Additionally, they can be used in place of stronger chemicals that are contraindicated for pregnancy (such as standard bug sprays and immune support). Lavender: Lavender can be exceptional for calming, promoting a good night’s rest, treating cuts, scrapes and burns, and taming allergies. It assists the body in times of stress or imbalance, including anxiety and depression. May help with stretch marks. Peppermint: Peppermint can help ease nausea, stomachaches, constipation, headaches, heartburn, and other pregnancy discomforts. It also supports liver and respiratory systems. Peppermint is energizing. It is an antibacterial and antioxidant. (Peppermint should be used with caution when nursing as it can affect milk supply). Lemon: Great for coughs, supporting the immune system, ph balancing, and uplifting the mood. It is full of antioxidants and is revitalizing. Also good for digestion and can help with heartburn. Frankincense: valued for its skin healing properties, it would make a great addition to a belly cream or other lotion. It also supports the respiratory system. There are also blends that can be useful in pregnancy. These include the following (the names in parentheses are the names of the blends offered by Young Living, which is a high quality reputable brand). Balancing blend (Valor): this is great for back labor and courage, strength, and confidence in labor. It helps move us toward a state of balance and alignment. It can calm our nerves. Purifying blend (Purification)—good for cleansing; can be used in natural homemade cleaning products; can help ward off cold and flu. Safety of any kind of therapeutic remedies is always a consideration, especially during pregnancy. For this reason, it is important to use high-quality therapeutic grade essential oils that do not contain peptides, amino acids, or other allergens. The method of contact with essential oils can also make a difference. Different schools of thought promote different avenues of application. For example, one model favors inhalation and dilution of the oils. Another concentrates on external application on the skin, particularly in bodywork. Yet another incorporates topical application, inhalation and oral ingestion. As a general rule, it is best to avoid all unnecessary medications and supplements during the first trimester. Some experts recommend that in the last trimester, essential oils only be applied to the feet, as some oils applied to the belly can cause a baby to change position. Some oils have been shown to help baby’s turn to ideal position, but that is beyond this general discussion and should be done under the close supervision of your care provider. 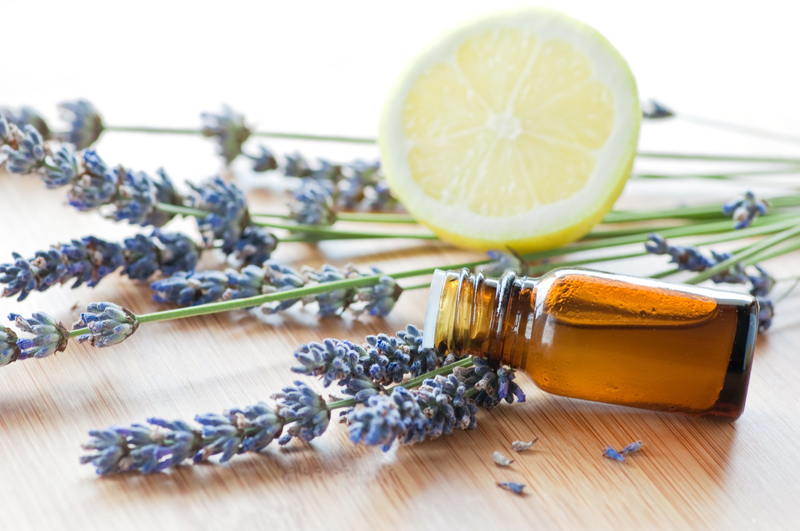 Aromatherapy: The safest method of use is thought to be diffusing essential oils into the air using a diffuser. You can also place a few drops of oil into a pot of gently boiling water and inhale the steam (carefully!) to derive benefits. Most simply, you can also just take a deep whiff of the oil straight from the bottle to derive benefits. Topical Application: External application on the skin (undiluted is called “neat”) is also an option with many oils, but these may cause irritation, so it’s important to learn about what oils are considered safe for the skin. Many people blend essential oils with carrier oils (such as olive or coconut oil) before skin application, and this can often mitigate any potential sensitivity. Massage using oils containing essential oils can be wonderful for many expectant mamas. Internal Use: Internal ingestion is thought to be appropriate for some oils though it may or may not be the preferred route in pregnancy. You may want to check with someone very experienced with essential oils and your care provider before ingesting oils (though many are considered very safe for consumption). It’s important to remember (or it may be the biggest thing on your mind!) that pregnant women can be especially sensitive to smells and oils during pregnancy and even postpartum. If you are looking for a way to purchase essential oils or need assistance deciding what is best, we can connect you with resources that can help. Just ask at the front desk.